Courteney Cox has abandoned facial fillers and botox ahead of her wedding to Snow Patrol musician Johnny McDaid. The American actress admitted she went too far with cosmetic procedures and said they made her look like "someone else". 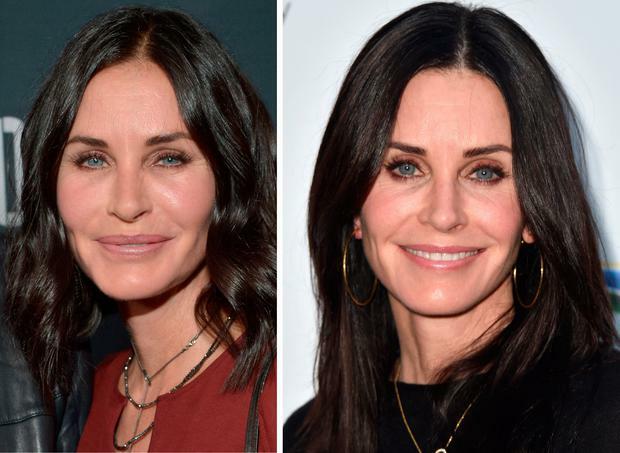 Courteney (53) and Irish musician Johnny (41) are believed to be planning to wed this autumn in Los Angeles and the star said she is much happier with her look now that she has let her fillers dissolve. "I've had all my fillers dissolved so I'm as natural as I can be. I feel so much better now because I think I now look like the person I'm supposed to be." "It got me into trouble. I was trying so hard to keep up and I actually made things worse," she said. The former Friends star said the change in her appearance was gradual, but eventually she felt like she "didn't look right". "You have no idea how your appearance is changing because it's gradual. But eventually you look in the mirror and go: 'Oh s**t. This doesn't look right'. "Things are going to change. Everything's going to drop. I was trying to make it not drop, but that made me look fake. You need movement in your face. I've had to learn to embrace that movement and realise that facial fillers are not my friend," she said. Melanie Finn They're the recession-proof fashion accolades that nobody thought would survive the big crash after the Celtic Tiger. By Keiran Southern, Press Association Los Angeles Correspondent Taylor Swift has said she finds songwriting a cathartic activity and uses it as a “protective armour”.